Keep the results coming – that will be the message inside Pata Yamaha Official WorldSBK Team as they head into Round Three of the MOTUL FIM Superbike World Championship this weekend. 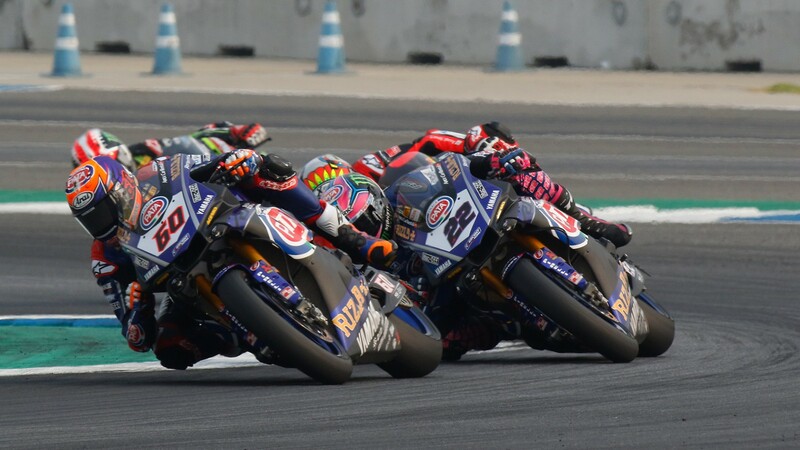 With scintillating podium finishes for both Alex Lowes and Michael van der Mark in Race 2 in Thailand, both riders will hope to continue their good form at MotorLand Aragon. British rider Alex Lowes has been very consistent in this start of the season, coming in no lower than sixth in the four races so far. His results at MotorLand Aragon last year were mixed: a fourth place in Race 1 last year was his then-best performance for Pata Yamaha, but a mistake after starting from pole position brought him down to 13th in Race 2. Sitting 5th in the championship standings, Lowes is looking forward to Round Three in Spain. “It's always nice to get the European season started and now the races come more frequently, which I enjoy. I feel like I have had a solid start to 2018 but, honestly, I have been missing some confidence and that last bit of feeling I need to ride at my best. Aragon is a track I really enjoy! It's a long circuit with a variety of corners that contain some slower sections that are quite technical and also some faster corners, which really suit me. I honestly can't wait to get there, work hard with the guys through the practice sessions and fight for more podiums during the races!". One position below him is teammate Michael van der Mark, whose brilliant second place at the Chang International Circuit was his joint-best in WorldSBK. After a disappointing performance in Australia, van der Mark lands in Europe with increasing confidence, and with the Spanish race followed by his home circuit of Assen. The Dutchman recorded two 5th places last year at MotorLand Aragon – a circuit he very much enjoys. "After the first two overseas races of the year, the European season finally starts this weekend in Aragon! We have had some encouraging results in the first two races and this year it seems like the competition is a lot closer than before, and with the progress we have made, I am looking forward to what Aragon will bring. Hopefully, we can carry our momentum to Aragon and, once again, be challenging for the podium!". Will Pata Yamaha make the podium again this weekend? Find out that and much more, live with the WorldSBK VideoPass.